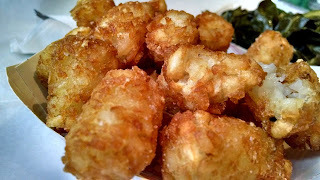 -Fried chicken, tater tots, craft beer, and Southern hospitality, enough said. -The owner also runs Nightingale9 and the former occupant, Seersucker. -Wilma Jean is more casual with communal tables and friendly service. The menu is far more simple compared to Seersucker. -Brooklyn kale lovers, new veggies are in town. 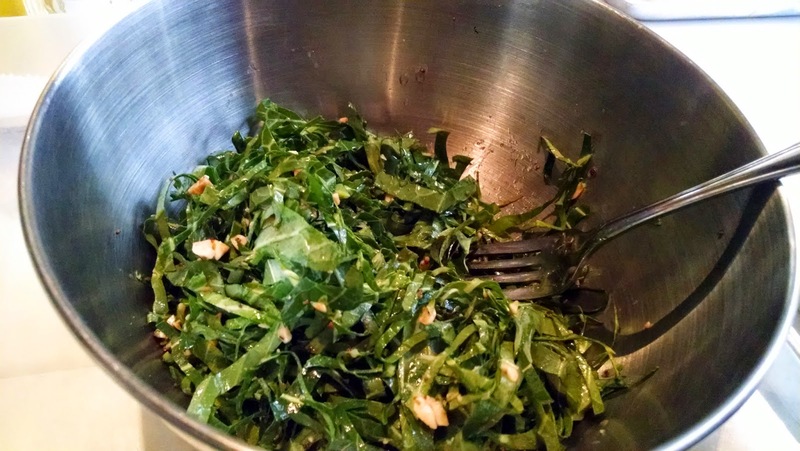 Salad Bowl of raw collard and roasted peanut ($7) is fresh and perfect for those who are tired of kale salad. 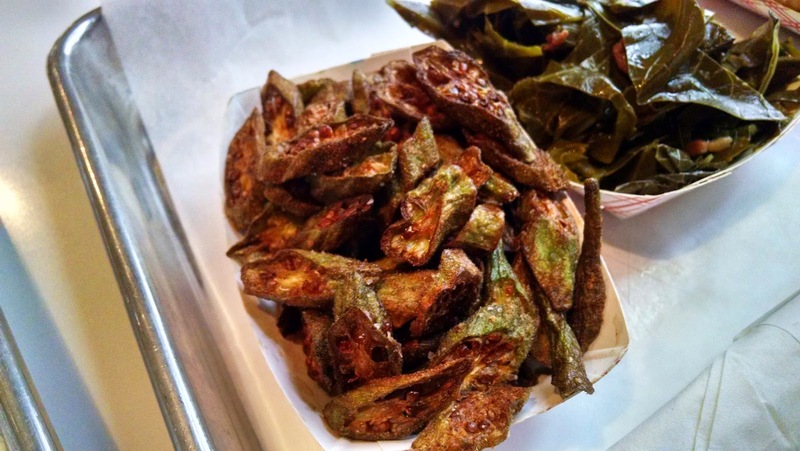 Okra chips (4) has interesting addictive nature of texture and lingering flavors. 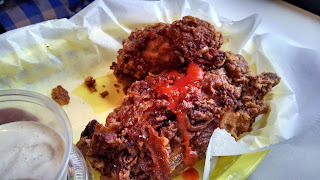 -Chicken Dinner ($14, half chicken, 1 side, coleslaw and roll) is incredibly crispy and moist. May very well be the best fried chicken in town.